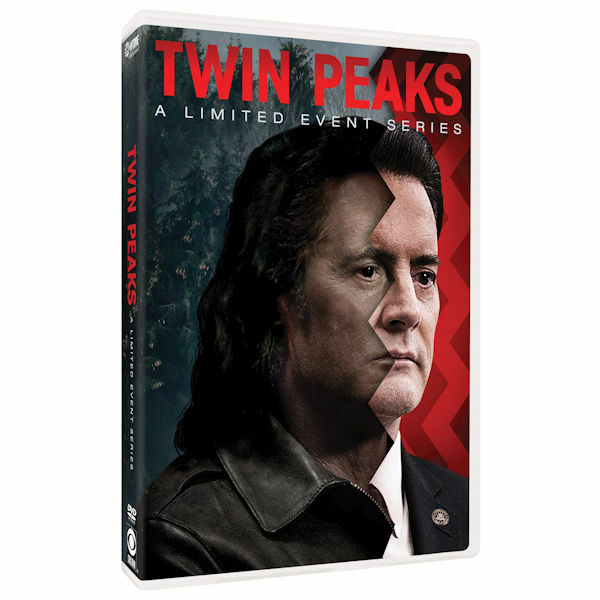 The first two seasons of the surreal, suspenseful cult TV series co-created by auteur David Lynch aired in 1990-91. In 2017, Twin Peaks came back to television, picking up 25 years after the shocking murder of homecoming queen Laura Palmer. Golden Globe winner Kyle McLachlan returns in his original role as Dale Cooper, with several twists, in a layered, cryptic TV event critics praised to the skies. This collection includes a wealth of exclusive, behind-the-scenes special features that will show fans what's behind the red curtain and the making of this extraordinary television event. "The most groundbreaking TV series ever"—Rolling Stone. 17 hrs, 8 DVDs or Blu-ray discs. Mature audiences.